THE individual beef inter-breed was not enough for Peredur and Llyr Hughes, of the Pabo herd of pedigree Limousins, Amlwch, who scooped a hat-trick of wins at Anglesey Show. After taking the overall sash with a home-bred heifer, they also stood on top in the overall pair and group of three championships. Their star of the day was the September 2014-born Pabo Jenelopa, a Sympa daughter out of Lowbarn Benelopa. 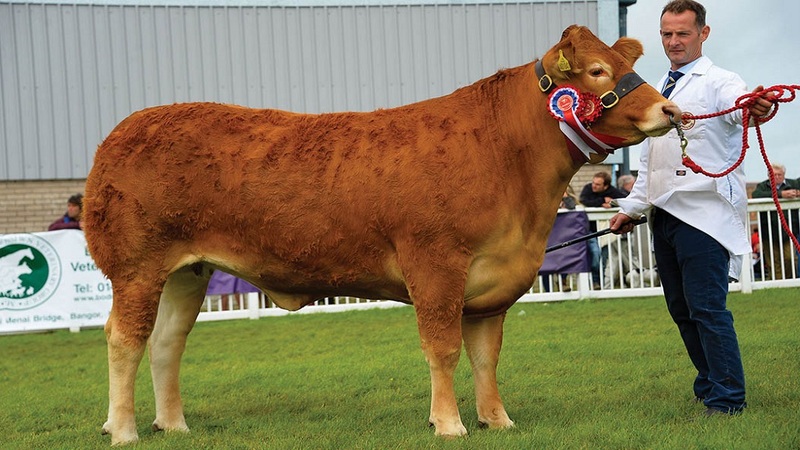 A full sister to the 13,500gns Pabo Francis, the heifer was reserve Limousin champion at Eglwysbach Show the week previous and was shown in-calf to the herd’s stock bull Derrygullinane King. Jenelopa was then teamed with its herd mare, Pabo Icemaiden, to head the pairs championship, a win which was followed by victory in the group of three inter-breed, as Pabo Haf joined the duo. Coming in reserve was the in-calf Welsh Black heifer Ynysfor Meg 4 from John Hughes, Caergybi. Bought for the sum of 860gns at Dolgellau market, it was reserve Welsh Black female of the year in the breed society awards last term, and was also champion native at Caernarfo Show earlier this season. The Limousin bull Haulfryn Morgan from Richard and Steven Whittley, Buckley, made its showring debut a winning one as it headed the junior beef line-up. April-2016 born and home-bred, it is by the €11,000 (£10,038) French bull Harris. Dairy victory was claimed by a Jersey cow from Beth Ford and James Hudson, Nantwich. Honeyfields Tequila Let’s Dance is a home-bred third calver, which was taking the supreme title for the second year in a row. Breed champion at UK Dairy Day last season, it is giving 32kg daily at 4 per cent protein and 5.25 per cent butter fat. Reserve was the Holstein Hawksmoor Lianne 70 EX90 from the Clare family, Market Drayton. Pig champion was the Landrace sow Finnington Cordelia 5, from S.J. Richardson and J.A. Wood, Sale, Cheshire. Born in October 2015, it last farrowed in March and is due again in September. Sheep classes were split over two days of competition, the first day playing host to the Lowland breeds, which were headed by a Suffolk ewe from Eifion Edwards, Mold. Reserve was a Hampshire Down from Messrs Borsey and Sivill, St Asaph. A park type North Country Cheviot came to the fore in the hill championship on the second day of judging. This was an aged ewe from Julie Earle, Carmarthen, of the Llwyncrwn flock. 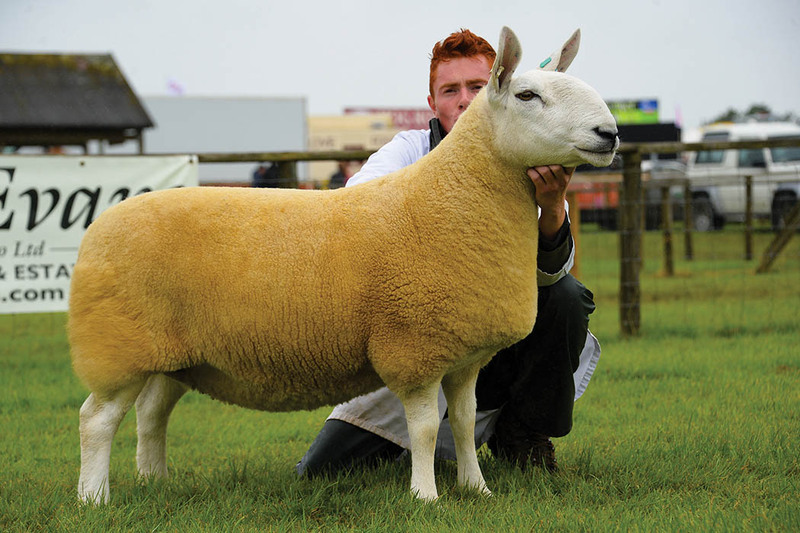 Bought as a shearling from the Alanshaw flock for 1,200gns, the now five-year-old Synton Bullseye daughter Alanshaw’s Miss Scotland has stood reserve female at the Royal Welsh on two separate occasions. Reserve was a Welsh Mountain pedigree four-shear ram from the D.A. Williams, Bala. A park type North Country Cheviot from Julie Earle, Carmarthen, was overall Hill sheep champion. 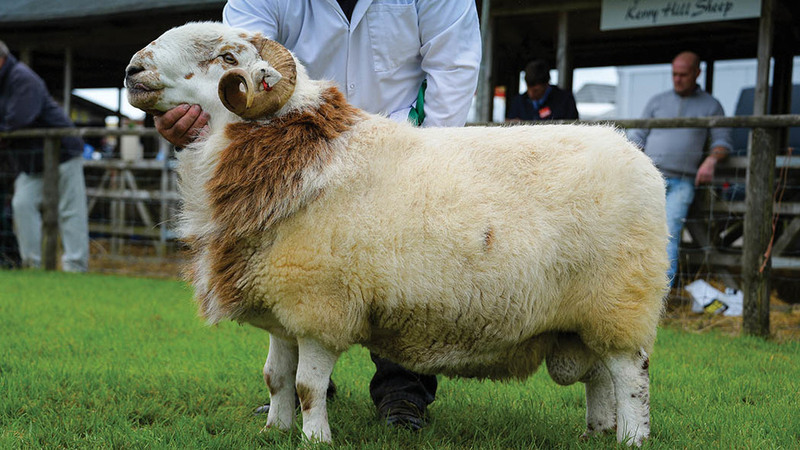 Reserve Lowland, a Welsh Mountain pedigree four-shear ram from the D.A. Williams, Bala. 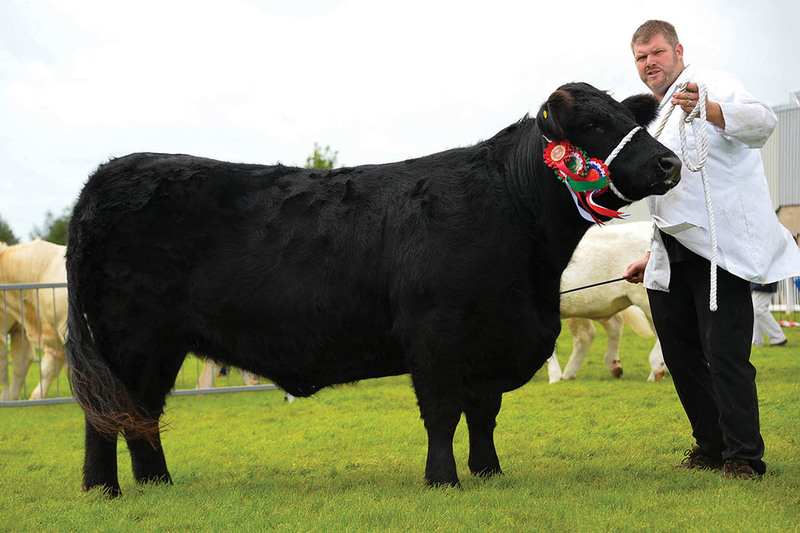 John Hughes, Caergybi, and his Welsh Black Ynysfor Meg 4 stood reserve beef champion. 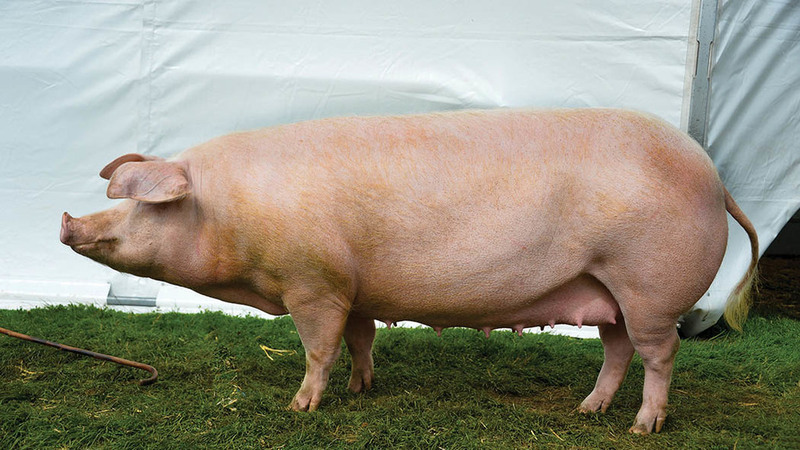 Pig champion was the Landrace sow Finnington Cordelia 5, from S.J. Richardson and J.A. Wood, Sale.